I usually hope that something interesting will pop into my head when I start writing outfit posts. Something other than "I like this dress" or more recently "look how large my stomach is." But, the truth is that I really like this dress (apparently I wear at the same time every year) and my stomach is also getting pretty darn big. The fact that I can combine the dress and the stomach is actually pretty impressive at this point. Eric and I start a birth class this week that I am actually really looking forward to. I love class and school and learning so much. That's probably why I work at a university and why I like to teach freshman about time management and study skills and dorky stuff like that. 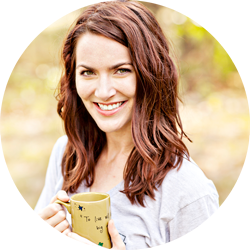 I got really giddy talking about planners yesterday. How the start of a new school year signifies a pretty new planner and how much fun it is to color code your planner based off category. That's normal, right? Love the feminine mixed with the military style. Super cute. I just the old navy one you linked up and I love it. I think I have worn it 4 out of the 5 days I have had it. I actually LOVE planners and pens and notebooks and stuff like that, so no judgement here. I kinda miss that part of school aaaand that's about it. You are just as cute as can be, and I think I say this everytime, but that dress is lovely! I love following along with your pregnancy updates, actually. It's fun to learn about it with someone else experiencing it for the first time! I enjoyed wearing a similar vest when I was preggers. Very flexible! Haha I totally color coded my planner in college. It's really helpful! I love this look on you. I really like the sleeve length on your dress, it's so hard to find dresses that are light and airy with sleeves. Why are all the cute dresses sleeveless? : ( Anyway, your dress looks super cute with the military jacket. We liked our birthing classes. I felt like we were doing something to prepare, even though birth was different than I expected (in a good way)! I love the idea of this dress, but I feel like this kind of pale pink does not work on me - my skin is too naturally pale pink for any similar colors to look good! Can we talk about how jealous I am of your job, though? I am DYING to work in a school setting, not as a teacher, but as a resource for students. I love school, I love the rhythm of the school year/summer, and I love being able to interact with other people. Being a student is just so exciting! I guess I just remember it very fondly and want to live vicariously through current students? How did you happen to get into this line of work? I really love my job - I feel so fortunate to have it! I work as a practitioner in student affairs (in our volunteerism department) and I also teach a couple of "intro to college courses" (where I talk about planners, haha). I got my Master's in higher education and was a graduate assistant in the department and then was fortunate enough to get a full-time position. It's a great line of work! look how cute you are, and false - your stomach is teeny tiny. 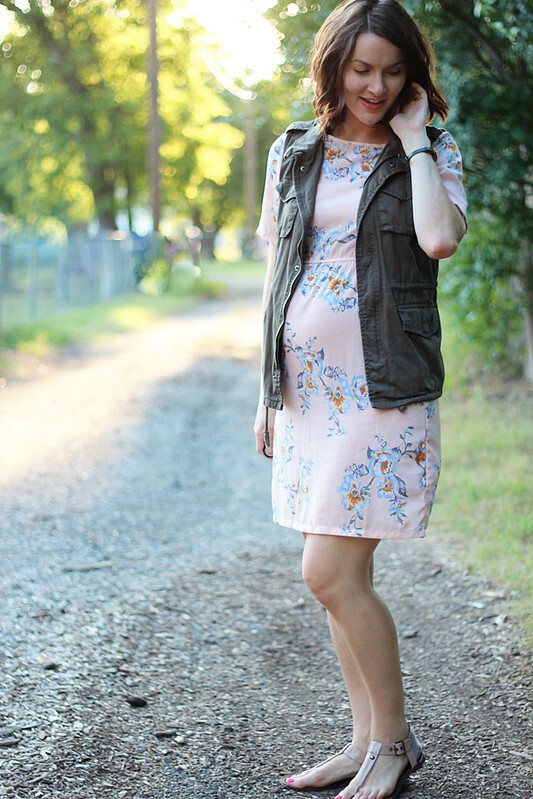 The military vest gives the floral dress a nice edge! You are glowing! I have the same problem when I'm writing an outfit post. I love this dress as well...and the vest is the perfect touch to go with it. I'm with you on loving a new planner and getting it organized. Planner LOVE! I'm addicted to planners. It's pretty bad. Utility vests are amazing. Hands down one of my best and favorite purchases this year. Thanks for updating us on the bump! Lol, I'm not a planner at all! I can appreciate other people's love of the planner though. I love this combo of the feminine dress and military vest. You look so pretty! I LOVE that you teach freshman about organization. I teach 6th graders about organization :) Love this dress. 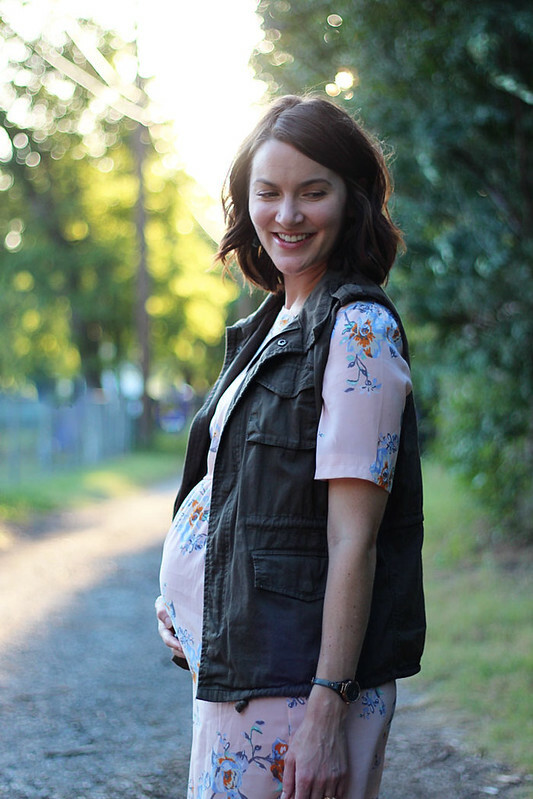 It's so fun to see regular pieces stretch for maternity. You are just adorable!! I love this outfit. I had a breastfeeding class this week...wahoo, but I actually really enjoyed learning and dragging my husband along to learn too. :) On a side note...what kind of camera and remote do you use? I shoot all my pictures with a Canon T3i. It's a great camera for the price. And I recently started using this cheap remote from Amazon. I still prefer when my husband takes my pictures (it takes like a fourth of the time!) but this is great for when our schedules don't match up. Am I weird when it annoys me when people cancel and reschedule things purely because then I have to white out things in my planner? It's not as pretty then! ;) I also love talking about pregnancy and I'm not even pregnant! I love this outfit! I feel the same way when I start writing a post. Sometimes nothing ever does come to me. : ). I am so disorganized. I have only ever had a planner once and it was mostly empty as I would forget to write in it. Surprisingly I rarely miss an appointment. That vest is so cute. I want a utility vest this fall. Yours is so good! You look beautiful. 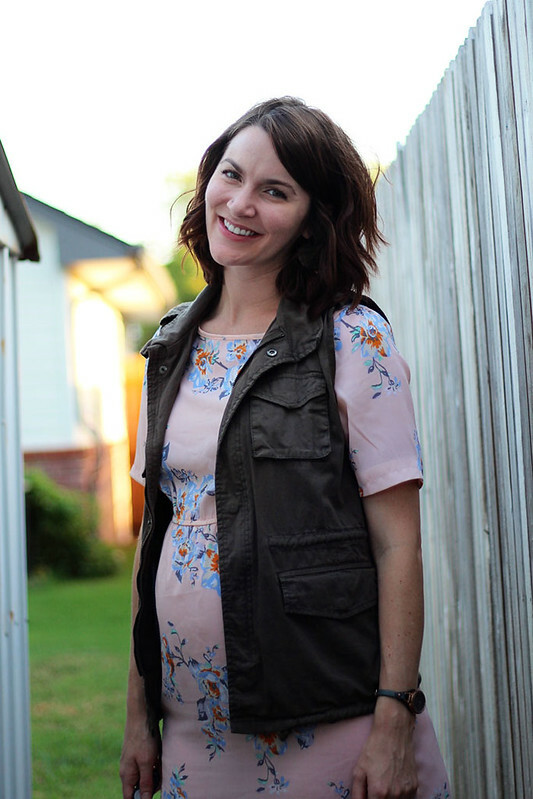 I love this outfit - and your adorable bump!! The mix of the tough utility vest and the femininity of your dress is so sweet!! Your excitement over planners makes me like you so much more. And you look goooorgeous. This dress is such a lovely print, and I am digging the feminine dress with the more structured vest. Great pairing! You look super adorable in this outfit! 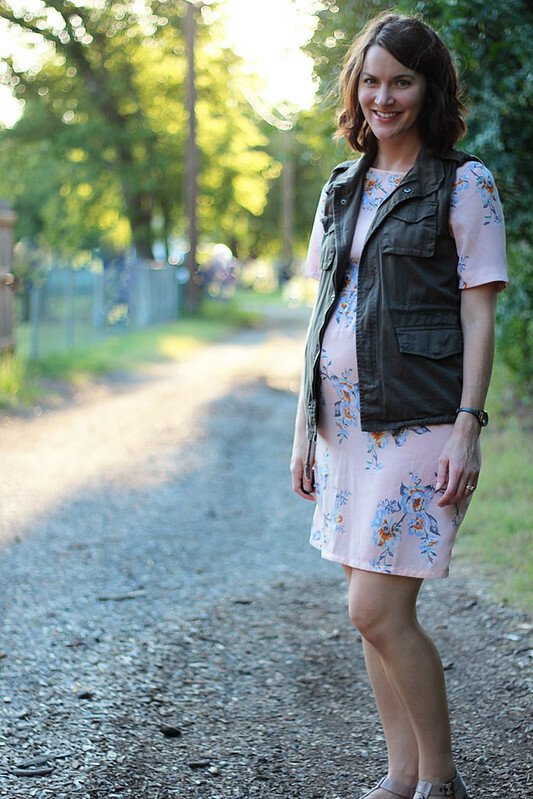 That dress is so pretty and utility vests are best when paired with super feminine pieces. Perfection! This is such an adorable outfit. I love jackets like these, they're so perfect for giving a different look to any dress. Love it! I just picked up a military jacket and i cannot wait to wear it with everything! Ah! When I worked in academic advising, I loooved doing workshops for first-years on those nerdy things as well! My favorite ones were about major exploration, haha :) Now, I get to talk to a lot of high school students about the same things - be still, my heart!! And can I just say that your hair is looking fantastic in these photos?! I can't wait for my hair to keep on growing so that I can try to style it like you've done post-haircut!